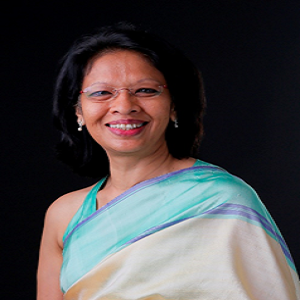 Dilani Alagaratnam is a member of the Group Executive Committee of John Keells Holdings PLC, the President with overall responsibility for Human Resources, Legal and Secretarial, Corporate Communications, Sustainability and Enterprise Risk Management, and Group Initiatives functions of the Group. She is also a Director of Union Assurance PLC and several unlisted companies within the John Keells Group. A Lawyer by profession, she has been with John Keells Holdings PLC since 1992 and is a law graduate and a holder of a Masters’ Degree in Law. Currently, she is the Chairperson of the Legislation Sub Committee of the Ceylon Chamber of Commerce, member of the National Labour Advisory Committee, and a Council member of the Sri Lanka Institute of Directors.